40 Kms from Cottage Ananda Nanital located at an altitude of approximately 2,084 meters above the sea level, Nainital is a popular hill station in the state of Uttrakhand. The town is located alongside the foothills of the Kumaon region of the outer Himalayas. The town is famous for its various natural attractions and due to its favorable climate all year round is one of the most popular hill stations in India. Nainital. 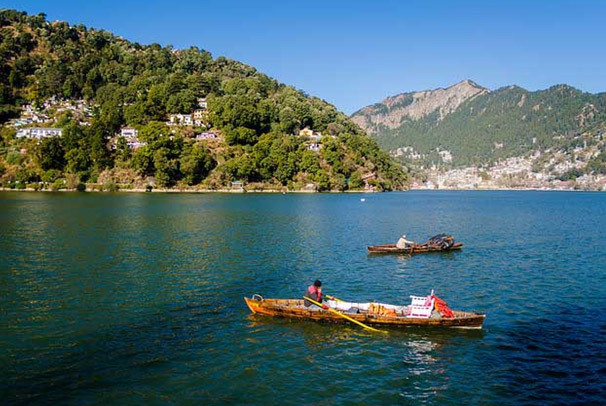 Set in a valley encircling a pear shaped lake, Nainital is surrounded by mountains – Naina on the north, Deopatha on the west and Ayarpatha on the south.